Repsol Honda Team rider claims series lead after a 45th MotoGP win. 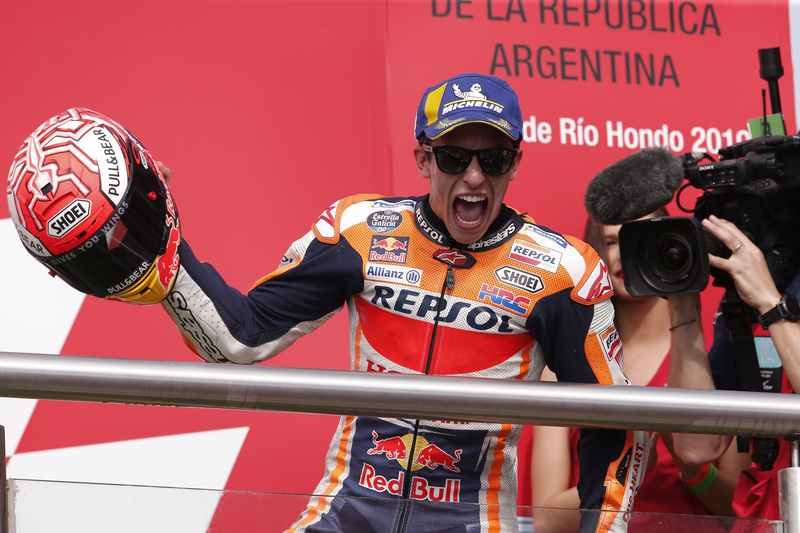 Marc Márquez did not give his rivals a chance at Termas de Río Hondo on Sunday, and claimed his 71st Grand Prix victory -his 45th in MotoGP- in a dominant display from start to finish. The Repsol Honda rider earned the treble of a race win, fastest lap and pole position, and had topped every practice session bar FP2 on Friday -in which he was eighth. He now holds three wins at the Argentine track. With this result, Marc Márquez is the new MotoGP World Championship leader, 4 points clear of Andrea Dovizioso.